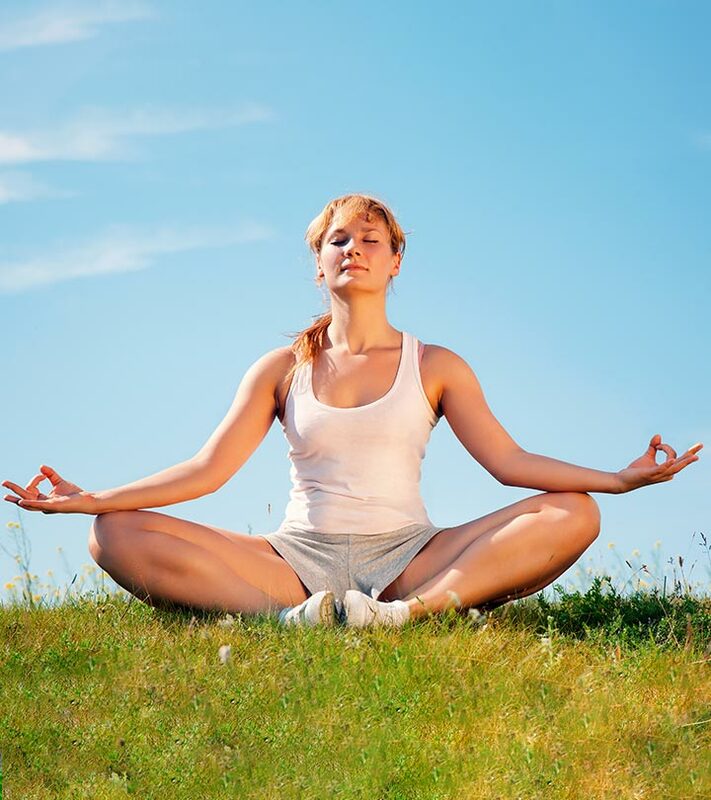 Have you ever felt the need to meditate without following a specific posture? What if you could enjoy the benefits of meditation without having to actually sit at one place for sometime? That would be amazing, right? Then Eckhart Tolle meditation is what you should be practicing! Eckhart Tolle is the famous author of the mind boggling novel ‘The power of now’. His book unveils the amazing ways of meditating without following a specific posture. The Eckhart Tolle meditation is a rather new meditating technique that focuses on reaching a subconscious state of mind without taking much pain about it. Want to know more about it? Then the first thing you should do is give this post a good read! Eckhart Tolle meditation insists on the thought process of the human brain. Human mind is a reservoir of thoughts. Those thoughts can grab your mind and focus any time of the day. You need not sit with closed eyes in a silent room with a perfectly aligned spine in order to follow this amazing meditation form. Following are the facts of this beautiful meditation technique! Eckhart Tolle meditation is a guided technique that features an awakening practice for the brain. It helps the brain to come over random and periodic thoughts that keep the mind busy all the time. Hence, the human mind synchronizes with the body with ease. This meditation technique begins with mind relaxation. The first step to performing this form of meditation is making the brain less open to random thoughts. You don’t need to go in a silent room for this purpose. Simply tame your minds to not over-think about anything you notice in your daily life. Listening music is one of the best ways to keep the brain away from random thoughts. Simply observe things around you, but don’t think much about them. The next step is taking a roll towards your inner self. If you find it hard to detach your brain from random thoughts for long, start breathing deeply. This is the best way to divert your mind from random thoughts. It is an amazing way of connecting with your inner self. Find some time each day to focus on your heart beat. This offers deeper relaxation to the mind. It makes the mind stable and active than before. Once you successfully learn the art of connecting with your inner self, it is time to analyze. Analyzing is an important step in any form of meditation. Power of analyzing comes from the five senses we all are blessed with. See, smell, taste, touch and hear in order to analyze things and situations around you. A calmer and stable mind is the best judge that doesn’t assume, but analyzes. This gives complete freedom from random thoughts. It also offers you a better hold over your senses. Discard all negative thoughts and collect all the positivity from your surroundings. This is the next step you need to gradually adopt to your personality. By this time, you would be good to analyze situations with a calm mind. Nonetheless, a fountain of positivity will make a place within your soul by this time. It will eventually detach you from anger, negativity, pessimism, irrelevant thoughts and even depression. The above listed ways of practicing this amazing form of meditation focus on changing a person’s lifestyle from dull and negative to visualistic and positive. This meditation form is a gradual pathway that eventually guides you to satisfaction and peace without the need of following the conventional ways of meditation regularly. Find out the amazing benefits of this unconventional mediation form below. Eckhart Tolle meditation helps the mind to become sane, active and happier. This automatically cures depression by making the overall thought process of a mind positive. This is an amazing benefit of the Eckhart Tolle meditation technique. Evil and nagging thoughts find rest and the mind comes under your control. This increases mental alertness, which in turn increases your concentration power. This meditation form focuses on deep breathing. This improves breathing over a period of time. As a result, it also eases respiratory disorders. Increased mental alertness gives one a state of happiness and peace. This restores the chemical balance of the brain. Hence, blood circulation improves. As a result, blood pressure comes under control. The body becomes active due to increased blood circulation. Increased blood circulation directly means increased supply of oxygen to muscles and tissues. This repairs damaged muscles and tissues. It also eases muscular fatigue. Hence, the body becomes alert and active. So are you ready for meditation with Eckhart Tolle? The above listed benefits are amazing ways of promoting mental and physical health. Are you too impressed with the benefits of Eckhart Tolle meditation techniques? Already a fan of this meditation form? Share with us!